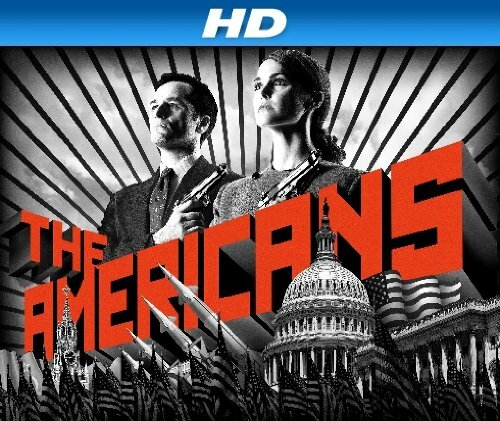 Quick Take: The Americans, "The Clock"
Review: The Americans, "The Clock"
(S0102) In this week's episode of the new FX drama time is of the essence. Philip and Elizabeth are given the urgent task of planting a bug in Defense Secretary Caspar Weinberger's office. After essentially blackmailing the Weinberger's maid, Viola, by injecting her son with poison they convince her to retrieve a clock in his study and then replace it once the bug has been planted in it in exchange for the antidote for her son's survival. After a few tense moments she finally succumbs to their request and her son survives and Philip and Elizabeth complete their mission without having to expose themselves. While Philip and Elizabeth did feel that the mission was too risky and Philip was ready to back out of the mission and tell their bosses it was impossible Elizabeth once again is steadfast in her allegiance and says that it must be important if they are asking them to do it. Last week we are left with the impression that Philip and Elizabeth - especially Elizabeth - just had Henry and Paige because they were told to do so to fit the picture of the perfect American family, but, this week we see Elizabeth showing true concern were it comes to her children. She fears that time is running out and she wants to spend quality time with them, Paige especially. As shown when she notices that Paige is now wearing a bra and she asks her if she wants her to take her to the mall so they can go bra shopping together. Paige dismisses her request. Later in the episode Elizabeth awakens Paige in the middle of the night and offers to pierce her ears now as opposed to waiting until she is fifteen. Paige is delighted and agrees. I wonder though if this moment is truly about bonding with Paige or to test her toughness so to speak. Earlier in the episode Elizabeth raised her concerns regarding the children with Philip when she told him that she was sure Henry would survive if anything were to happen to them since he was like Phillip but she questions Paige and the delicacy she shows - a trait that neither of them seems to have. I thought one of the more humorous scenes of the episode is when FBI Agent Beeman comes over to visit Philip as he is playing hockey outside with Henry - his punishment for not brushing his teeth, hence more quality time. After Philip sends Henry inside for bed Beeman offers him some Beluga caviar. Does he think that by offering Philip caviar he's going to get some insight as to whether or not he's a Russian spy? Philip plays it cool and says he doesn't like the stuff and finds it salty to which Beeman replies that's what the beer is for. It seems like Beeman still has his suspicions but Philip is going to do his best to keep him guessing one way or another. Of course Philip did enjoy that caviar as he goes and buys some and shares it with Elizabeth after they complete their mission with the clock. Oh and how did Beeman come across that caviar? By playing bad cop with a stereo store owner that seems to be up to no good. Eventually he gets him to talk which turns out to be beneficial to Beeman and his partner. He is able to get an informant for the FBI within the Russian embassy. I know that this show just started and we are basically thrown into the midst of Philip and Elizabeth's lives, but, I feel like as a viewer we are missing some key points. It's hard to feel invested in these characters because the writers haven't provided us with enough of a backstory. I wonder if the show would have been set-up better if last week's flashbacks to their lives prior coming to the United States would have been an episode in and of itself this way we the viewer get a better sense of who these people are. Something is amiss in this show and hopefully as the story continues to unfold that will become less and less evident. This is very very quickly becoming my favorite show on television at the moment. The mood and feeling of early '80s America is spot on, as is the acting and writing. How many shows can blend drama, suspense, and action like this? Not many at all.